Comments for 10" Table saw "The Driver Line"
"The Driver Line" Table Saw Pricing? Hi am curious if you ended up selling your table saw. I also wanted to know what price or how you got an estimate on your driver line. 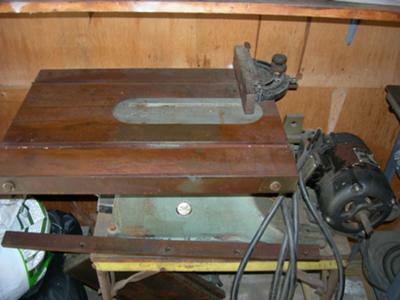 I also have a driver line table saw and am considering selling it, or using it in my shop. I've got the same model. Mine came with more rust than the one in the pic. I had a Delta when I stumbled on my Driver. It has a tilting table vs arbor, this is an huge inconvenience, and the fence routinely slips. However, after cleaning up my Driver I sold the Delta because the Driver was smoother with less vibration and straighter cuts. That was after I messed around with tuning and truing both. The Driver is a great saw!